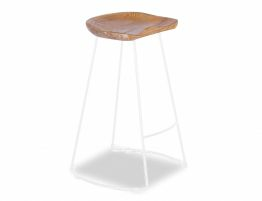 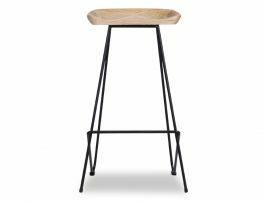 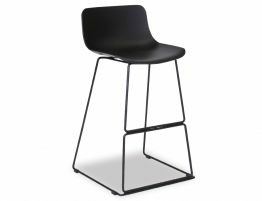 The Barnaby Timber Counter Stool is a contemporary timber kitchen stool gracefully carved from a slab of solid Victorian Ash that conforms to the shape of your body for a very comfortable feel. 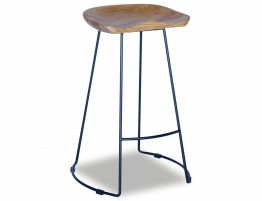 The base of the Barnaby Stool has a steel frame structured to be less then obvious but still modern and that it does. 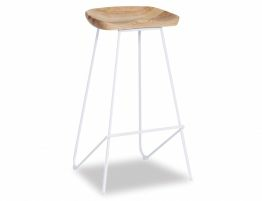 The understated contemporary framework is simple and comes in either white or black powder coated paint. 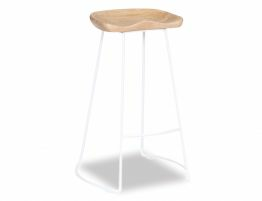 Ash is an intense hardwood known fundamentally for its magnificent bowing capacities such as it utilized for bentwood and for twisted furniture parts obliging most extreme quality. 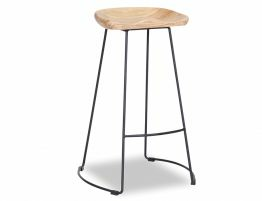 The durability and sturdiness of Victorian Ash timber is high and the look is warm and inviting and adds a stunning natural element that is considered a common fashion accessory in today's design savvy interiors.